Gold Gown = Valedictorian. Going to Berkeley! CONGRATULATIONS DYLAN! YOU MAKE US PROUD!!! 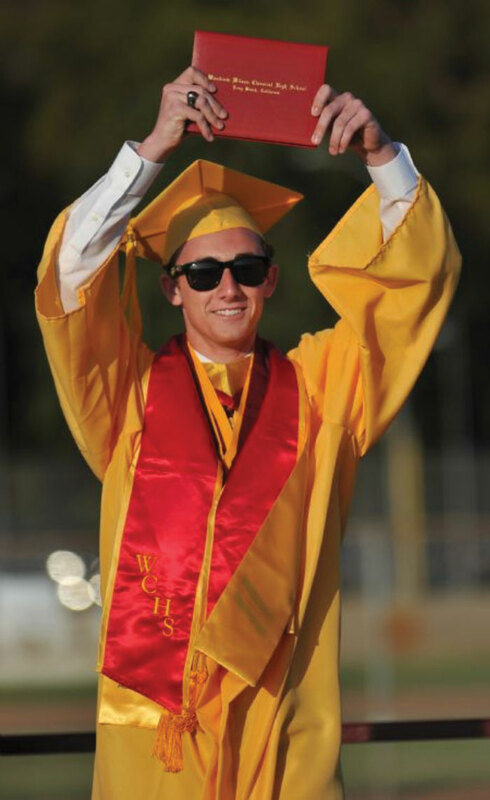 6/16/11 - Dylan Vassberg celebrates with his diploma during Wilson High School's Class of 2011 commencement ceremonies at the school.